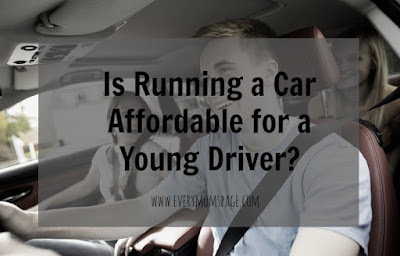 EveryMom'sPage: Is Running a Car Affordable for a Young Driver? Most kids are super keen to learn to drive as soon as they are old enough to take lessons. Passing the theory test is the first stage in the process, which is difficult, but not impossible if they have a go at a few mock tests on toptests.co.uk first. Once your teenager has passed his or her theory test, they can apply for the practical driving test and – hopefully – score a pass. Unfortunately, having a full drivers’ licence is no fun if your teenager has no transport. It is likely to be prohibitively expensive to add them on to your motor insurance, and if you drive a high-powered car such as an Audi or similar, positively dangerous. The only other option is to buy them their own car, but is this even affordable. Running a car is an expensive business. Buying the vehicle is only the start and once you own a car,you or your teenager will have numerous other costs to pay for. The law states that all drivers must have motor insurance and road tax. Motor insurance is the biggest expense for young drivers. Newly qualified drivers, especially male drivers, are more likely to have an accident than any other group of drivers. Some insurance companies charge several thousand pounds to insure a young driver, which is o/en more than they,or their parents, can afford. The only way to and a cheaper insurance policy is to shop around. It is worth trying companies that specialise in insurance for young drivers, as they tend to be more sympathetic. Insurance premiums will also vary according to the type of car being insured, so check this before you buy a car. Another way to reduce the cost of insuring a car for a young driver is to agree to have a black box fitted to the vehicle. Black box recorders monitor your driving. If you drive sensibly, it will cost you less to insure the vehicle, but if you regularly exceed the speed limit and enjoy doing handbrake turns around the local carpark at night, expect your premiums to go through the roof. Cars need fuel, which can be expensive if you do a lot of miles. Diesels cost less to run, but are more expensive to buy. How you drive will also affect fuel economy, so try and drive sensibly, as the faster you drive, the more fuel you will use.